View More In Air Conditioners. 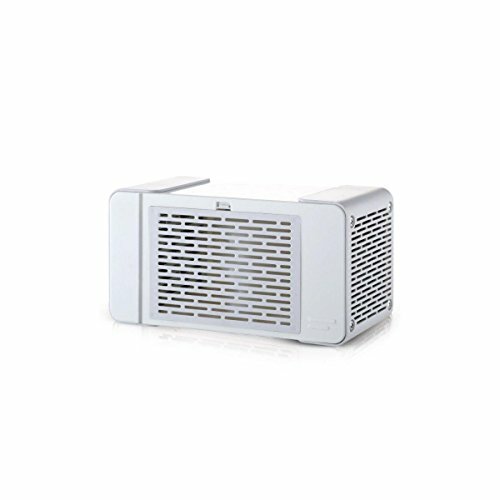 HUMIDIFICATION & AIR PURIFICATION: The air cooler comes with humidification and air purification functions in one device. It has 3 wind speeds (high-medium-low) to be freely adjusted. EASY TO USE: Simply add water and ice to the reservoir and you will enjoy hours of cool, clean and comfortable air conditioning. This unit is lightweight and portable, so take it anywhere you need a blast of cold air! Easily plug it into an electric plug or USB port and immediately create your personal comfort area! LED LIGHT MINI FAN: Designed with led light, the nice mini fan is not only an air cooler, but also a nice decoration in your bedroom. It can offer you a good sleeping in the darkness night. LOW ENERGY: It is energy-saving but high efficiency. You can use it about 5-7 hours if charging by a 10,000mAh power bank. REMINDING: This Portable Air Cooler Fan is Small Size for Personal Use. It Don't Use Any Coolant. So it Can't Make a Small Bedroom Cooling. Please Put it Beside you not over than 3ft-4ft. If you have any questions about this product by Farway, contact us by completing and submitting the form below. If you are looking for a specif part number, please include it with your message.